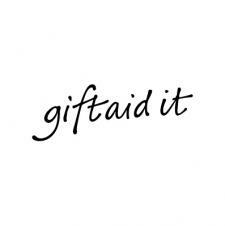 Gift Aid is a simple way to increase the value of your gift to us – at no extra cost to you. If you pay tax in the UK, JHMT can reclaim the basic rate of tax (25%) on your gift. So, if you donate £10, it is worth £12.50! If you are a UK tax payer, yes – you can sign up here. Even if you are not employed, you are still eligible if you pay tax on a personal or occupational pension, stocks and shares, bank and building society savings, rental income or overseas or UK investment dividends. As long as a person is a UK taxpayer, and has made a declaration to that effect, we can claim Gift Aid on any amount donated by that person. You can sign up for the JHMT to claim Gift Aid on your donations by completing the Gift Aid Declaration form below. I have organised a house-to-house collection. Can you claim Gift Aid on the donations given in the envelopes? House-to-house collections can be a good source for Gift Aid. The important thing to remember is that each person needs to fill in the information requested and Gift Aid declaration on the envelope if they are a UK taxpayer (including the amount donated, their name and home address). Each envelope then needs to be returned to us with the money raised. I work for a company that would like to make a donation. Can they make a Gift Aid declaration? Because Gift Aid for companies is based on their corporation tax, which in turn is based upon their profits and taxable income, charities cannot claim Gift Aid on corporate donations. The company should donate the gross amount and reclaim the tax at their appropriate rate. Further information can be obtained from the HM Registry and Customs website. I'm doing a sponsored event, can I write you a cheque so you can claim the Gift Aid? Unfortunately not. What you can do is ensure that you only use properly authorised sponsorship forms from JHMT (or photocopies). These will enable the people who support you in your event to fill in the necessary information (full name and home address) so that we can claim the Gift Aid due from each sponsor. If you create your own forms you may miss an important piece of information that means the form and any declaration becomes invalid. Simply return the completed JHMT sponsorship forms with the money you have raised and we will do the rest. I've made a Gift Aid declaration but I have moved house, does it matter? As long as we have a current home address for you, it doesn't matter that the address provided on the declaration is no longer valid we can still claim gift aid. Just make sure you let us know of any changes. I've made a Gift Aid donation but I'm no longer a UK taxpayer, what should I do? You need to let us know as soon as possible if you cease to be a UK taxpayer.